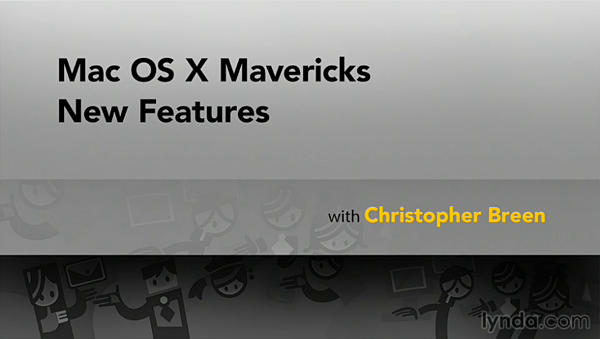 Like to learn more about OSX Mavericks? Our friends at lynda.com has opened their video vault for a limited time. For those unfamiliar with Lynda.com, it is an award-winning provider of educational materials co-founded by Lynda Weinman and her husband Bruce Heavin. Their membership service features an Online Training Library® (OTL) which includes video-based elearning courses on Adobe and Microsoft applications and technologies; web design; digital photography, video and audio; Mac applications; programming, and more. Until November 17, lynda.com is making its one-hour Mac OS X Mavericks New Features available. Go to their Facebook page (you know the drill, you have to like it) to access the video. Enjoy!